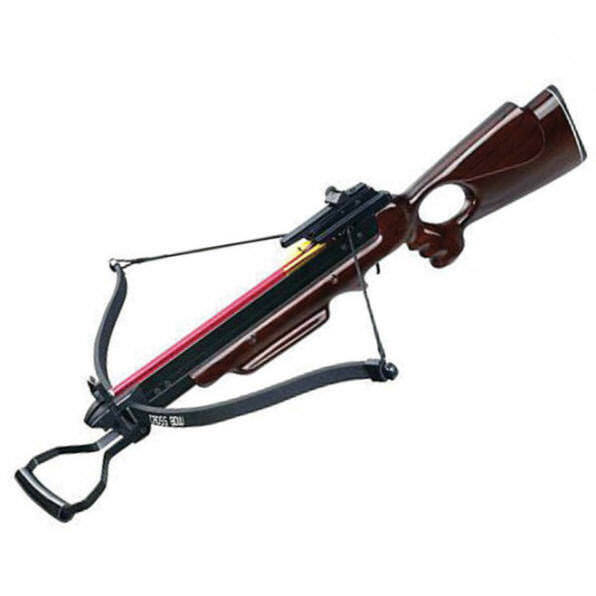 This 150 lb Crossbow has a barrel of aluminum fitted onto an open-stock of dark wood. It has a limb / crossbow prod of fiberglass. Features adjustable sights, auto safety when cocking, and foot stirrup for easier cocking. Includes two aluminum arrows.